VIE delivers a fully customized cost-savings approach to hospitals. 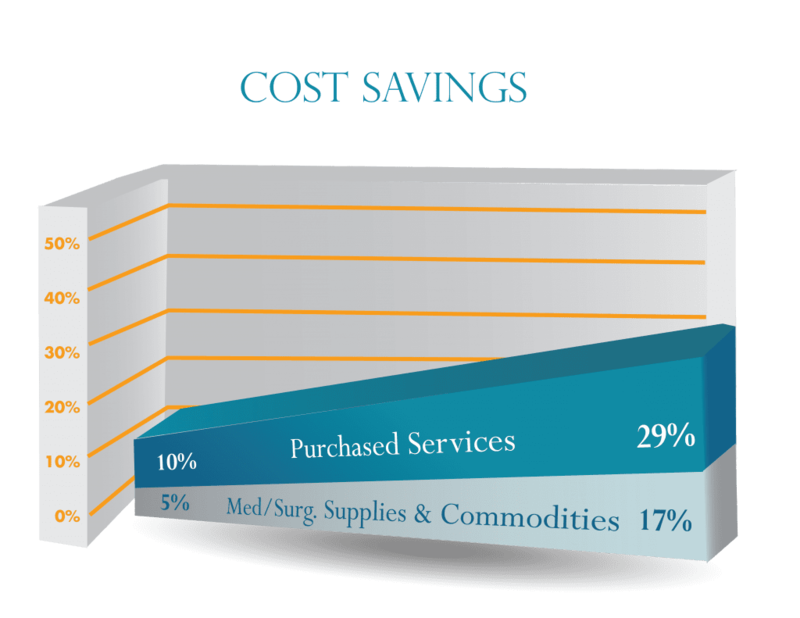 Healthcare purchased service costs today are on the rise. Hospitals and other organizations face looming expenses that only seem to grow—from service and supply costs to real estate fees. But this steady rise in costs doesn’t have to mean cutting jobs. VIE Healthcare can show you how. Here at VIE, our leading healthcare consultants help organizations realize 15% to 35% cost savings on non-labor operating expenses. In fact, we routinely save hospitals millions of dollars with our unique, holistic approach to non-labor cost savings. VIE delivers a fully customized cost-savings approach to clients looking to reduce costs. Our hospital consultants identify key cost-savings opportunities throughout the organization, starting with a thorough appraisal of current operations. Our team of experts then develop action plans and implement solutions for optimal results. Unlike other firms, VIE is committed to negotiating refunds with vendors on your behalf to maximize savings. To help leverage your buying power, our team will also help you consolidate vendors and negotiate for better pricing. VIE will help you realize a multiple return on our fees—expressed as a return on your investment in us—through the rapid implementation of powerful cost-savings initiatives. Please reach out to Denise Bisogno at dbisogno@viehealthcare.com to learn how VIE can help you dramatically cut your costs.